1. 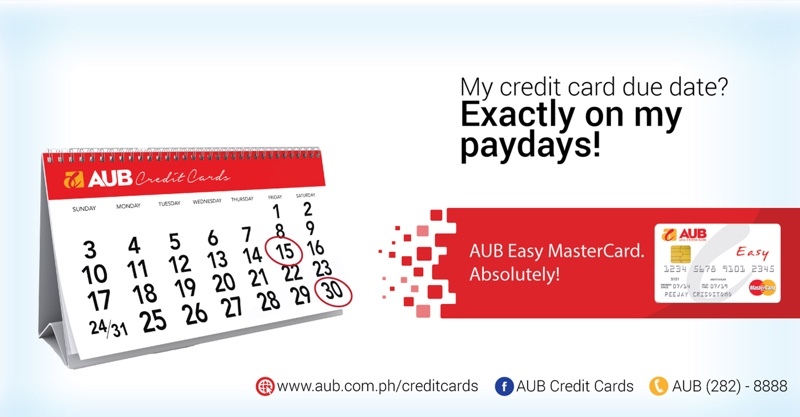 The AUB Easy MasterCard allows cardholders to choose the mode of credit card payment, in particular, how much to pay, how often to pay, and even when to pay. 2. 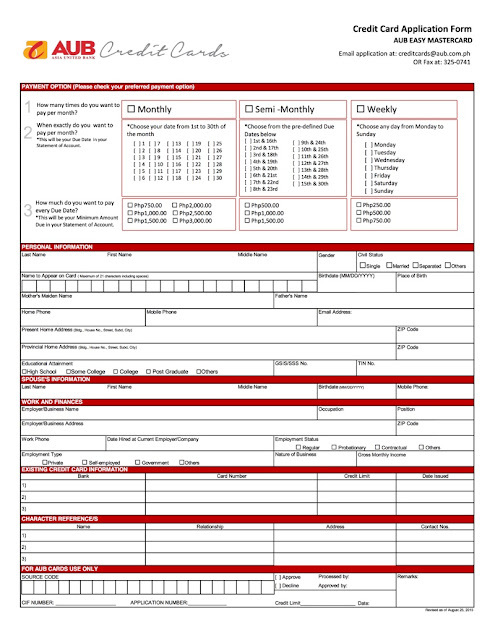 Cardholders can choose how often to pay: monthly, semi-monthly, or weekly. 3. Cardholders can choose exactly when to pay. 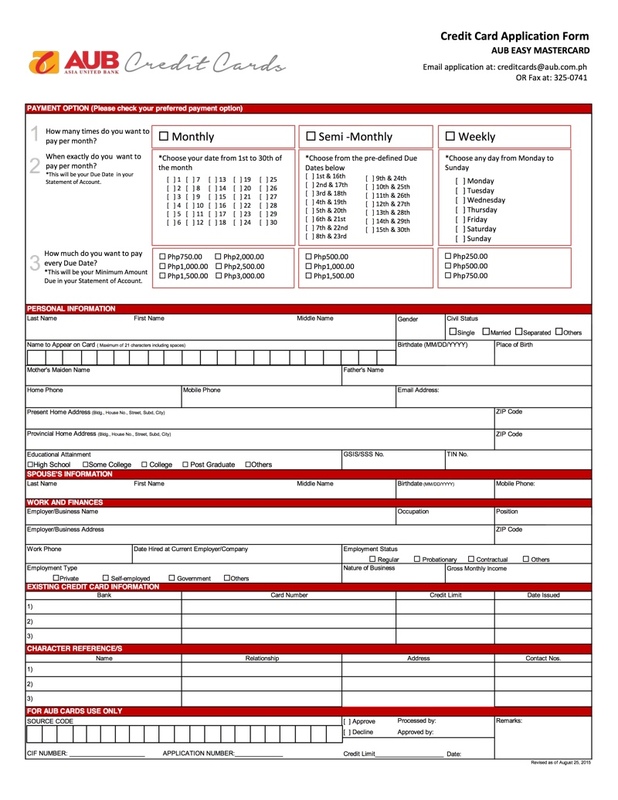 If monthly, they can choose from the 1st to 30th of the month as due date. If semi-monthly, they can choose from pre-defined sets of payment dates. As some people get their salaries or commissions on a weekly basis, they can also choose any day from Monday to Sunday as their due date. 4. 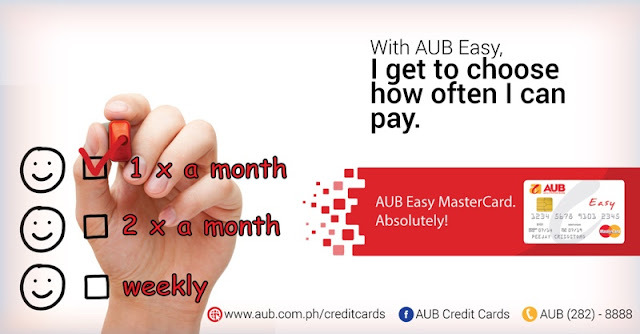 Cardholders can choose from affordable fixed monthly, semi-monthly, and weekly payments where the amount due is the same every payment due date regardless of the total transaction within the cut-off date. 5. 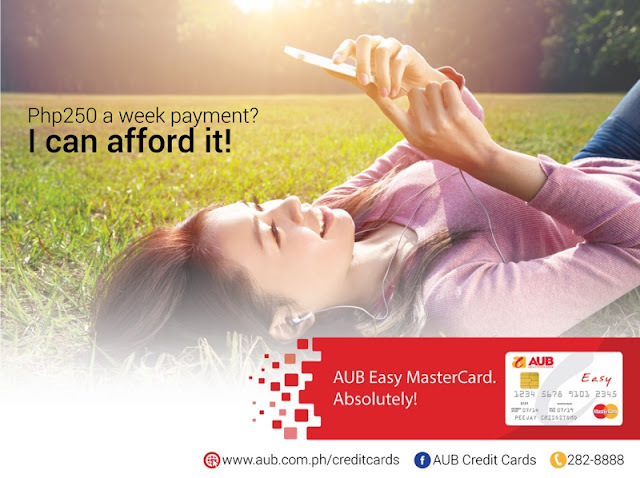 The AUB Easy MasterCard is also fully loaded and comes with an exciting Rewards program, an electronic statement, and an "All-Ur-Bills" feature that lets cardholders charge utility bills to the card. 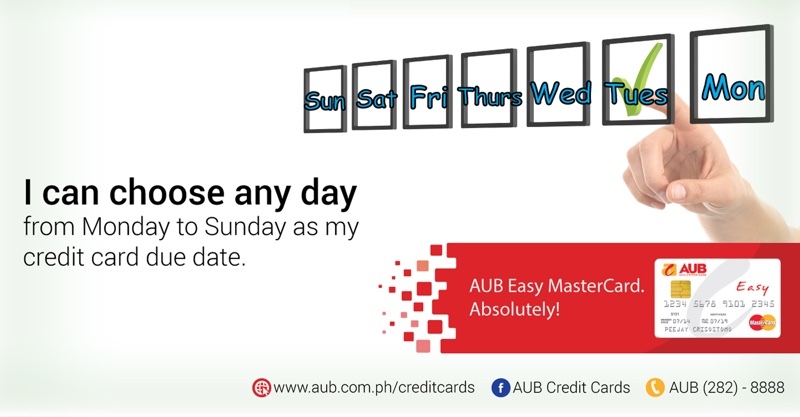 According to AUB President Abraham T. Co.
“The AUB Easy MasterCard was developed in response to the real sentiments and demands of the ordinary consumer. It ensures that the card payment is always within the cardholders’ budget and availability of funds. No bill shock, no surprises, and no stress when the bill arrives. 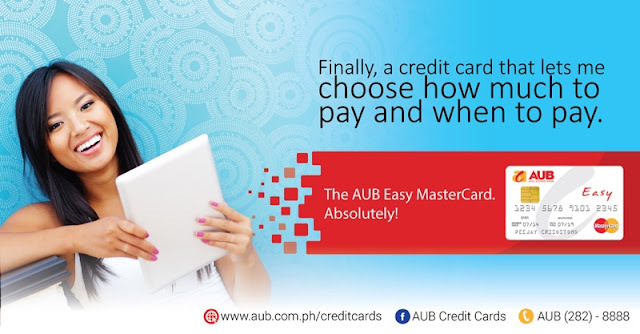 By giving cardholders real control and flexibility, the AUB Easy MasterCard will definitely change the way we manage our credit cards and finances." To apply for an AUB Easy MasterCard, go to www.aub.com.ph or call 282-8888.